Camden Council is to step up parking enforcement on Tottenham Court Road after complaints it failed to keep a cycle lane clear, part of a very busy network that runs through Bloomsbury and Fitzrovia. 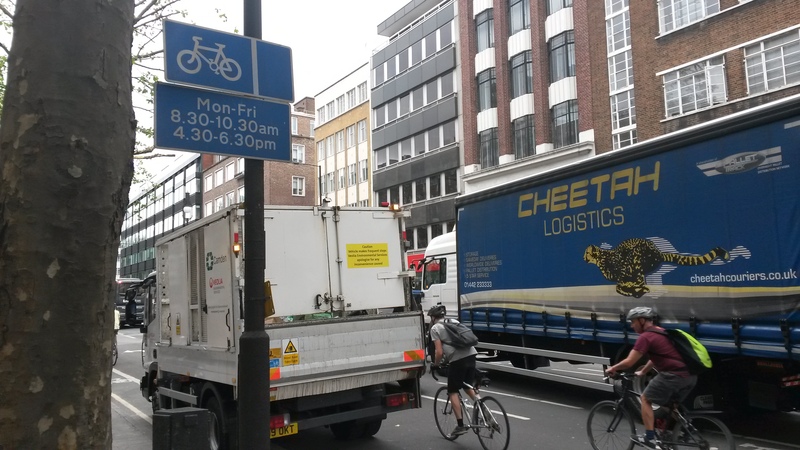 On Thursday morning at 9.15am last week a Veolia refuse vehicle with a Camden Council logo was parked in the cycle lane on Tottenham Court Road. The cycle lane is clearly signposted with times of operation and there is a no loading sign as well as road and pavement markings. Then on Friday morning our photographer captured images of two vehicles parked in the same cycle lane during the hours of restriction. “Parking in the mandatory cycle lane between 8:30am and 10:30am is breaking two rules — restricted loading hours, and parked in a compulsory cycle lane during hours of operation,” says cyclist Mark who works in the area. He told Fitzrovia News that he complained to Camden Council about this last year giving them video recordings of the vehicles parked in the cycle lane. He says Camden acknowledged his complaint and told him an enforcement team would issue Penalty Charge Notices (PCNs). But no enforcement action appears to have been taken, or it has had little effect. 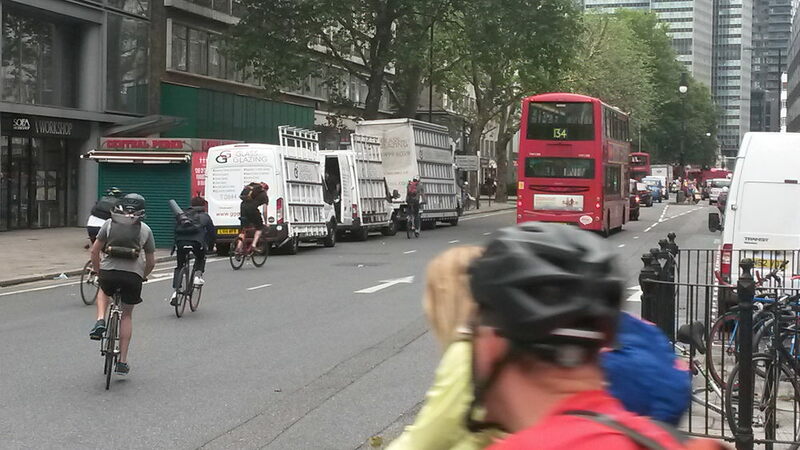 “The cycle lane is no less full of cars and vans parking than before. I started complaining about this to Camden council in November 2014 but it is still used for parking and loading. Camden Council are worse than useless,” he says. 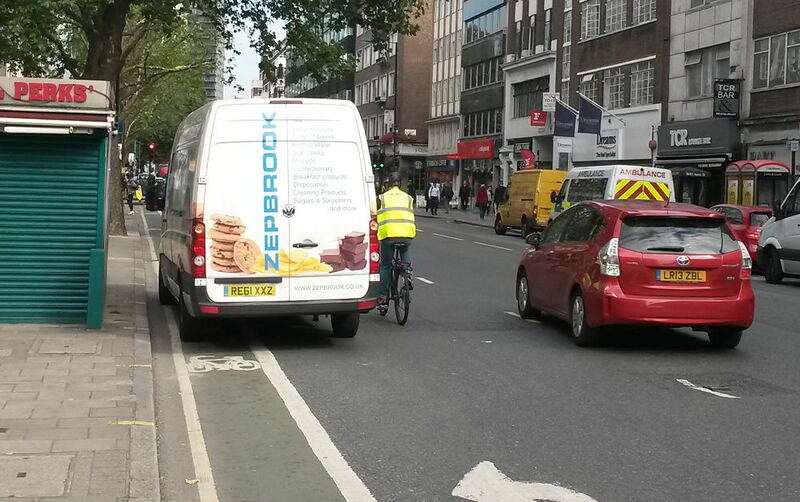 Photographic evidence obtained by Fitzrovia News this week confirms that vehicles are using the cycle lane during hours of operation and no action has been taken. We passed the photos to Camden Council and asked them to respond. 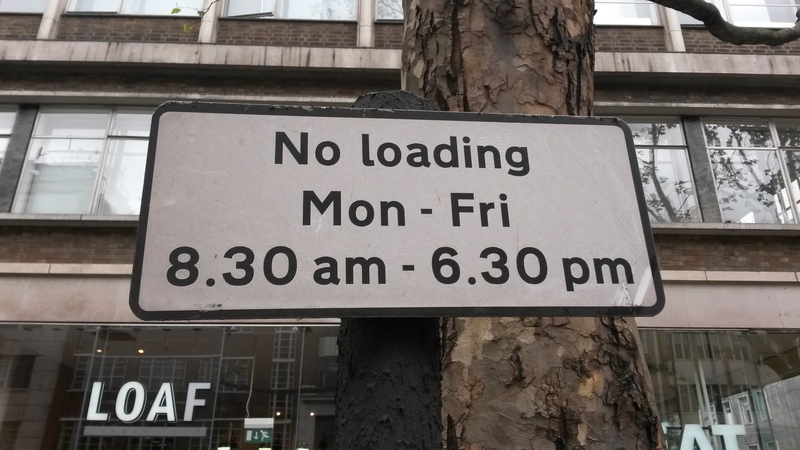 “At this location in Tottenham Court Road there is a waiting and loading restriction in place that is operational between the hours of 8:30am and 6:30pm, Monday to Friday. If vehicles are seen parked here during these hours and no exemption exists, enforcement action will be taken. “The introduction of the Deregulation Act 2015 in April means that we can no longer use CCTV to enforce these types of contraventions but our records do show that PCNs are being issued and foot patrols carried out by Civil Enforcement Officer’s on a regular basis to help deter inconsiderate parking and keep the cycle lane free. “Nevertheless, in light of the concerns raised our contractors have been asked to monitor the location more closely over the coming weeks,” they said. 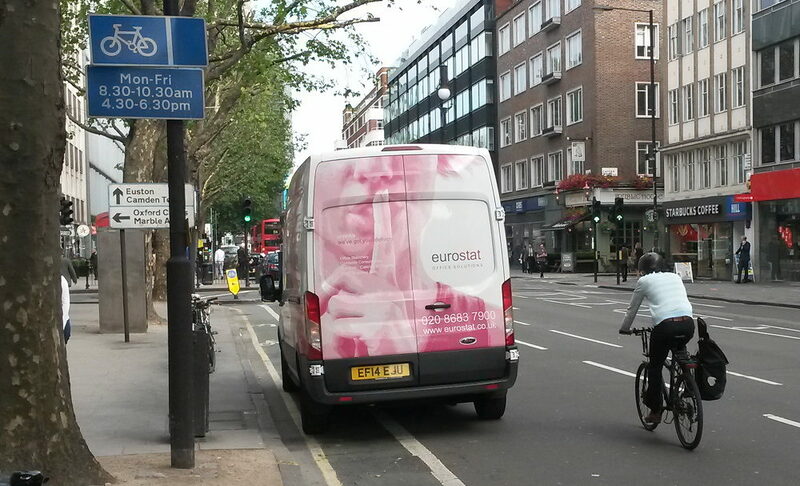 On Wednesday this week Fitzrovia News photographed three vans parked in the cycle lane during the restriction. When we returned an hour later all three had penalty notices on the windscreens. Camden announced in June that it is to double the capacity for cycling along this east-west route.